The children of Walker’s Ridge North enjoy access to quality public schools. Hayes Elementary School is just 0.7 miles from our entrance. Pine Mountain Middle School is adjacent to the elementary school and even closer at 0.5 miles. Highly regarded Kennesaw Mountain High School, which accepted it first class in 2000, is just 1.5 miles to the northeast. Opportunities for higher learning, advanced degrees, or continuing education classes are available at nearby Kennesaw State University, which is less than 6 miles to the northeast near I-75. 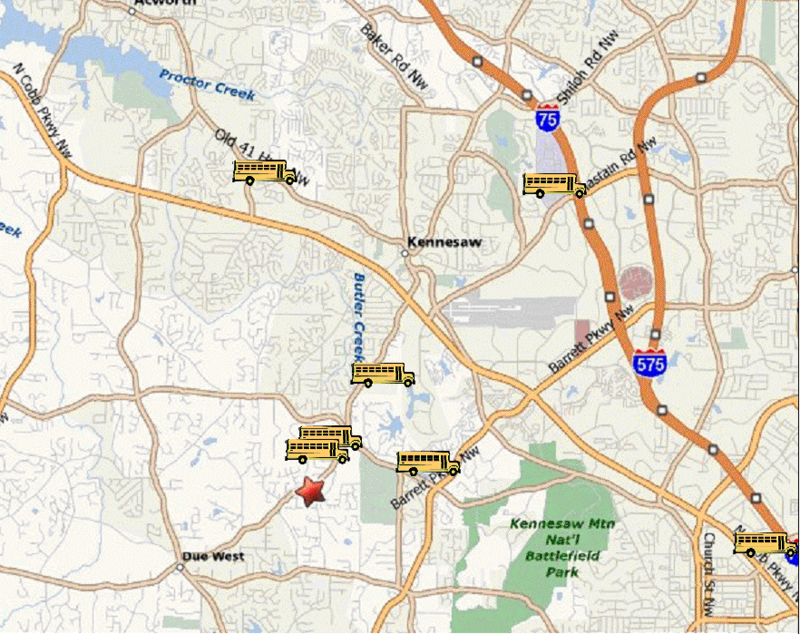 We are very close to two prestigious private schools both offering a premier pre-K through 12th grade education: Mount Paran Christian School is only 1.9 miles to the east, and The Walker School is less than 8 miles away in Marietta.